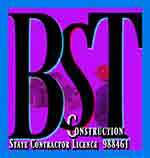 Visit C&L’s Most Visited website page…the Before and After cabinet photos section. 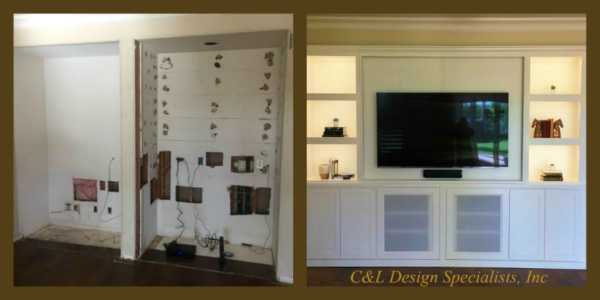 Thousands of people visit the C&L Design Specialists’ website in search of custom cabinet photos and ideas. Thanks to Google Analytics, a company can learn about where people are looking on the site. This has helped us to discover that most visitors go directly to the Before and After photos. Even more impressive, they look through almost our entire gallery. Since Before and After Cabinet Photos tell a story better than words, we wanted to create a snapshot of some of the favorites. So, let’s check out just of few of our designs and installations. 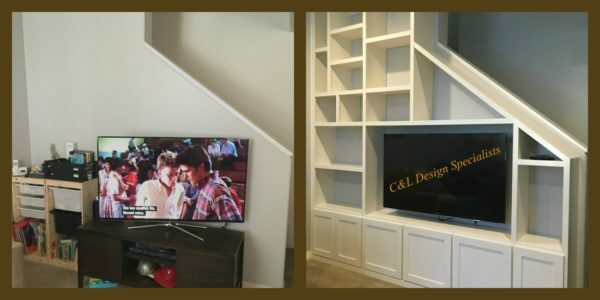 The first before and after cabinet photo showcases a custom wall unit that needed to be built along a staircase wall. We are always up for a challenge and this unit really tested our ability to find the symetry and balance that would make this Aliso Viejo entertainment center a visual delight. Next we have the understated elegance of one of our favorite projects. 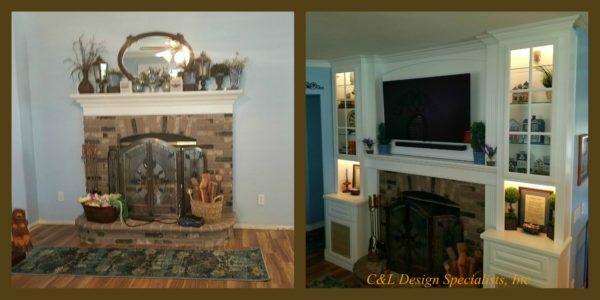 The Riverside homeowner wanted to create display areas and utilize the area above the fireplace to mount their television. Mission accomplished. By incorporating a new mantel, we were able to deliver that ‘came with the house’ look. 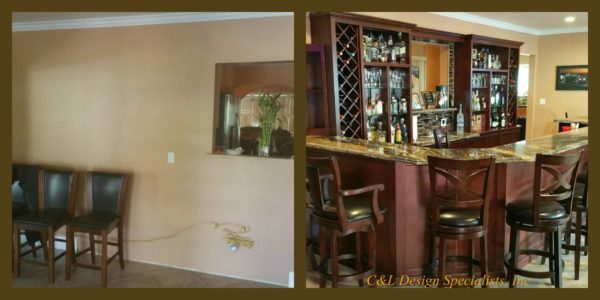 This Home Bar in West Covina is now the hub of activity and allows the homeowner to entertain in style. 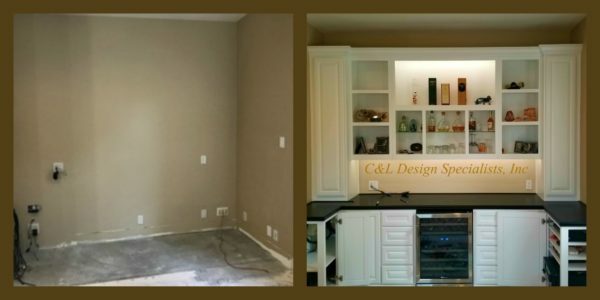 Our client in Yorba Linda wanted to utilize their wall alcove to feature a built in bar with wine fridge and to house a number of audio visual components. If you look closely, you can see that the lower cabinet bases have doors (shown open) that swing out from the sides as well as from the front. Anything is possible with truly custom cabinet design. Below is a beautiful white unit installation for a home in Dove Canyon, CA. By looking at the before photo, it’s hard to believe it is the same wall! 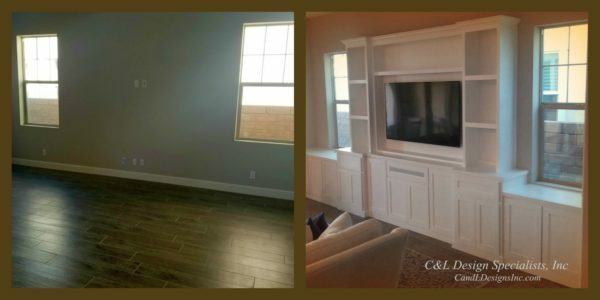 This spectacular custom cabinetry addition brought in the most referrals from their Trabuco Canyon neighbors. One of our latest clients in Trabuco Canyon needed to fill the entire wall of their family room. This wall unit features interesting details, yet maintains simplicity with timeless Shaker style faces and a clean white lacquer finish. An experienced designer knows what will be the best solution for any area; and a solution that works with your budget. Visit our website or simply call us direct. Find out what custom cabinet design is all about.